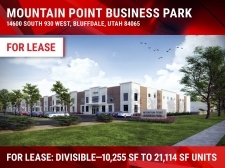 If you are looking for Utah commercial real estate listings, you will find that most of them are located on the Wasatch Front, which is around Salt Lake City. Approximately 80% of the state's residents live in this region. Other parts of the state are mostly uninhabited with few buildings. As a result, there are vast expanses of Utah with little in the way of commercial realty and investment properties. In the 2010, the gross state product in Utah was $114.5 billion. The economy of Utah is based heavily on transportation, IT, government services, and mining. Much of the state's rural commercial land is dedicated to cattle ranching. Industrial space in eastern Utah is also dedicated to petroleum production, which is another important industry in Utah. 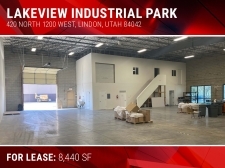 NEW TO MARKET: 17,000 SF w/ warehouse in OREM! 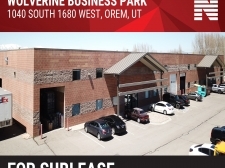 Salt Lake Office - Reduced!